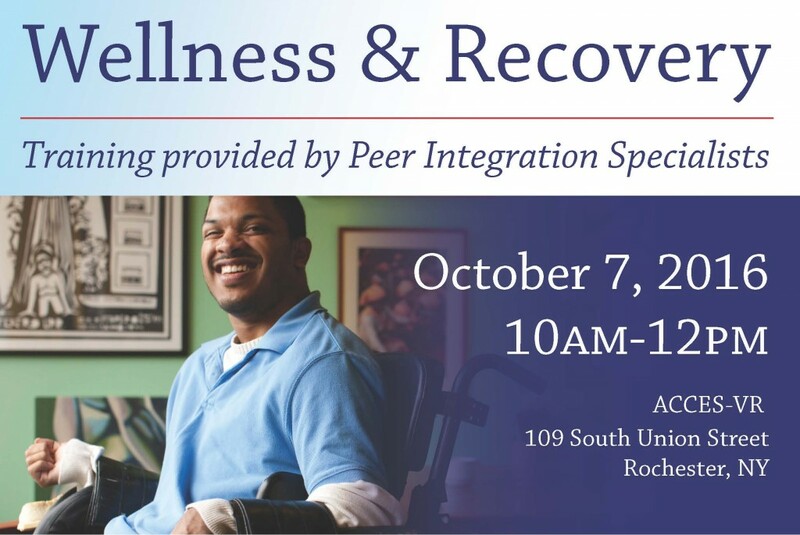 The Regional Center for Independent Living (RCIL) in collaboration with CDR and ACCES-VR have a training opportunity provided by RCIL’s Peer Integration Specialists! Contact us for more information today! 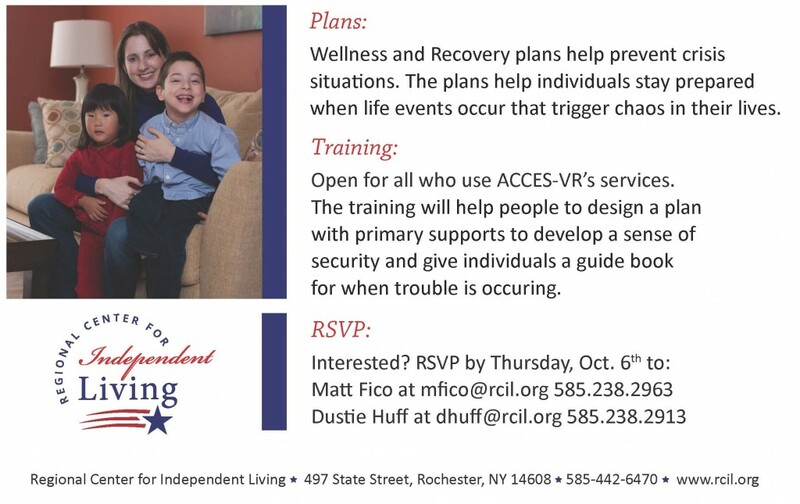 This training will take place on Friday, October 7th from 10am until 12pm at the Rochester ACCES-VR office located at 109 South Union Street, Rochester NY. This training is open to anyone who uses ACCES-VR services!